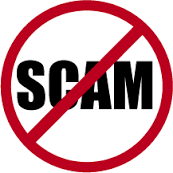 Empower network-is it a scam? Question is,what is empower network and is it a scam? let`s see.Empowernetwork was invented by a man named David Wood a couple of years ago. Basically, it’s an online opportunity that offers members a blogging platform where they can sell whatever products they desire, including EMPOWERNETWORK and all of the marketing training and information products that comes with it all. The blogging platform is called Blog Beast. They actually call themselves an affiliate program, but in reality, in my opinion, they are more of an MLM SCAM. When you first arrive on their website, a video starts playing automatically. We are actually forced to watch this video until the end. It can’t be paused or stopped unless you click on an ‘’order now’’ button. In this video, the owner, David Wood goes on to tell us his story, a story that we, of course, have heard many, many times before. He tells us how much of a hard time he went through in his life, how many direct sales companies he has worked with and then, goes on to telling us how he even lived in his van in Hawaii. I mean, don’t get me wrong, it’s a great story! We all go through hard times in our lives at one time or another. It just seems as though this is more like a ‘’rags to riches’’ story. Actually, he starts the video by showing us his huge diamond ring that he calls, ‘’the millionaire club’’ ring or something like that. It’s a little too big if you as ask me. It’s so big that it looks a little fake actually. When it really comes down to it, Empower network is an MLM that you have to pay a monthly fee for to sell their product and yes, there are many upsells available. Actually, I would even call it ‘’upsell heaven”. There are way too many! Oh, and I almost forgot to tell you, you also have to pay a monthly fee to be able to receive commissions. -With this fee, you get a blogging site. If you wish to promote Empower network, you have to pay a monthly fee of $19.95. So, right there, we realize pretty quickly that IT IS NOT AN AFFILIATE PROGRAM as real affiliate programs don’t charge a fee to promote their company. Now, here come the ‘’upsells’’, the different memberships. If you want to learn a little something, this membership is required. In reality, it’s almost obligatory. I mean, they don’t force you into it or anything but once you have purchased the blogging system, you need to know how it works and how to be ‘’successful’’ on the platform, right? So, this is a $100 monthly fee added to the fees mentioned above. This membership gives you access to audios that tell you about the founders and the leaders. It tells you what you need to know in order to be able to sell it. If you want to make money with it, you must know about it, no? The system is made so that if you don’t purchase a certain level of membership/training, you will not get a commission for it if someone that you referred to the program purchases it. It’s really hard to explain. To put it bluntly, you don’t make any money from a sale if you haven’t yourself purchased the very same product that you just sold. Wow! That’s all that I have to say. Now, this membership is a ONE TIME PAYMENT OF $500. Now, this is a video series that teaches its members advanced marketing strategies. Again, you must purchase this if you want to make money when selling it. For a ONE TIME PAYMENT of $995, they will teach you more advanced ways of promoting your business. They will give you strategies on how to get more targeted leads to grow your business. I am not sure how much money you will have made at this point. Then, wait for it….there is the MASTER RETREAT! For a ONE TIME PAYMENT of only $3500, you will get access to 40 training sessions that will teach you to earn more money as you learn how to make more money. I’m not even sure what that means. At this point, you are probably thinking that I am not giving you much detail about the products that they sell. Well, that’s because they don’t give any detail about what they are selling. If you visit their website, it is really not clear. I really am trying my very best to give you as much information as I can. However, this is as good as it gets as far as describing their products is concerned. Empower network has probably been banned from every social network out there. It seems as though their members have absolutely no integrity nor no ethics. ‘’Spamming’’! What is ‘’spamming’’? Ask an Empower network member. They will tell you! They are probably the reason why Facebook banned all affiliate programs from advertising on their site. I can go on and tell you stories about the complaints, but I am sure that you can find out all about them simply by typing in, ‘’EMPOWERNETWORK COMPLAINTS’’ on Google. Apparently, members are also complaining that there is no support. It’s almost like some groups have totally lost control of who is coming and who is going. It has grown considerably over the past few years and because of this, it has lost the ‘’human’’ side of what a business should really be. In the end, EMPOWERNETWORK doesn’t even offer a free trial. How can someone invest so much money into a business that they haven’t even seen or tried? Plus, with all of their upsells, before you make any money, you better have a lot of it put aside to invest. Moreover, what are you really investing in to begin with? A blogging platform? If you decide to get out of the business, the blogging site that you will have worked on so hard to build won’t even be yours anymore. In the end, your money is going into learning, which is not bad but again, what will all of the learning be good for if you don’t have a blogging platform to use it on? You may just have to invest again in another business. Is that what you really want? I would suggest a company that you can try before you buy first. Now, to me, that’s business!